One thing that marketers and investors learned from Facebook’s high profile IPO is that it’s a social media platform driven by engagement. So what do marketers need to know about this social media platform to improve their marketing? Separate research studies done by Buddy Media and Dan Zarrella of Hubspot highlight ways marketers can maximize their Facebook effectiveness. To help you, here are eleven points to guide your Facebook engagement. Understand that these recommendations may vary for specific target audiences and other factors. Therefore, take time before you dive in to understand the target social media persona you’re looking to reach. Further, remember you have to start with compelling content. As a result, it’s critical to test how these factors influence your marketing. Snap a photo. If you want social media interaction, use photographic content on Facebook. According to research by Hubspot’s Dan Zarrella, photographs yield more likes, shares and comments than text, video and links. Of course, you may want to check out what a like is worth to your organization first. Keep posts short and to the point. Limit your Facebook posts to less than 80 characters in length. Buddy Media Research found this length resulted in 27% higher engagement rates. Show your feelings on Facebook. 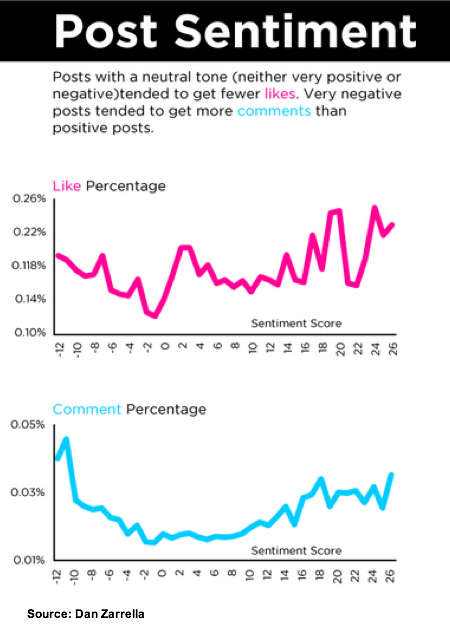 Neutral posts yield the least likes while negative posts attract the most comments based on Dan Zarrella’s findings. Ask a question after you deliver the rest of your information. Buddy Media research found that where you placed a question in your Facebook post it had a positive impact on engagement. Placing the question at the end of the post increased engagement by 15%. Choose your words carefully when you pose questions. What you say matters on Facebook. Use the words where, when, would and should for higher engagement. By contrast, avoid the word why since it generates the lowest rate of engagement and comments. Be direct in your Facebook requests for engagement. 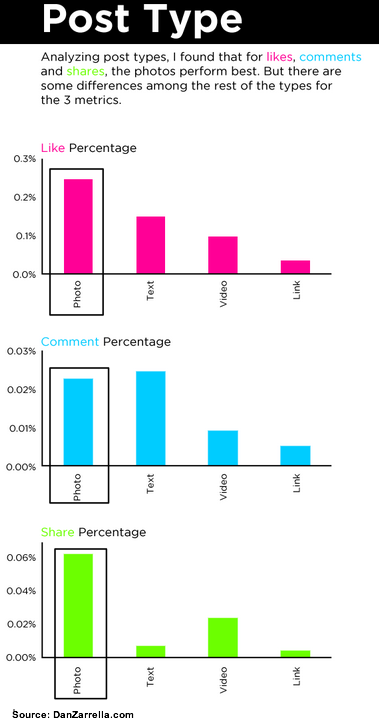 Buddy Media research discovered that short, precise requests resulted in the highest rates of engagement and comments. Talk about yourself. Unlike other social media platforms where being self referential is a no-no. 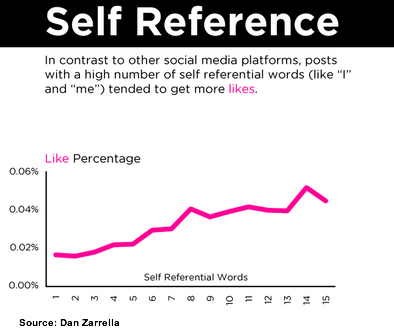 Zarrella discovered that posts with the word I or me attracted more likes. Skip URL shorteners on Facebook. While URL shorteners like Bit.ly are popular on other social media platforms, they’re not on Facebook. Use the full URL or brand specific URL shortener to increase engagement threefold according to Buddy Media. This is attributable to the fact that participants want to know where the link will lead them. Avoid outright promotion. This is consistent with other social media platforms. Based on Buddy Media’s work, highly promotional words like contest, promotion, and coupon were less effective. Post during me-time. While roughly three-fifths of brands published posts during the business day, specifically between 10 AM and 4 PM east coast time, post engagement is one-fifth higher in the early morning, end of the workday and late at night, according to Buddy Media’s research. This makes sense because this is when people have time to catch up with family and friends. Publish Facebook posts towards the end of the week. Most Facebook posts are placed Monday through Friday and user engagement from these posts peaks on Thursdays and Fridays. If your goal is engagement, skip posting on Saturdays when engagement rates are 18% below average according to Buddy Media findings. By contrast, if your goal is likes, Dan Zarrella found that Saturday and Sunday posts yielded the most likes. Since there’s variation by industry, test your posts relative to your business objectives to schedule your posts to appear when your target audience is active. As a marketer, it’s difficult to consistently craft posts that have all of these attributes and still retain their initial meaning and passion. What’s important is to build an understanding of how your target audience would like to engage with you on Facebook. Bear in mind that it’s better to be present when they’re most available and interested in engaging, not when you have time in your work schedule. Expect this engagement to change overtime as your audience evolves. 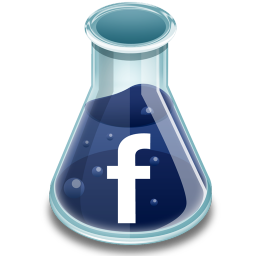 What other elements would you suggest marketers consider before they post on Facebook? Tags Buddy Media, Dan Zarrella, Facebook, Research. Bookmark the permalink. This is a helpful article.. thank yOU! Use the full URL or brand specific URL shortener to increase engagement threefold according to Buddy Media. Very useful tips. Your article is a great source of information. Thanks for the post! May I congratulate you on your intelligent work.You have won me over and gained a new fan. Compared to most articles on the web this is a joy to read, I am overjoyed that I came upon your work. I promise to be linking to this on all my blogs. Great tips, especially point 10. It is very useful. Thanks. I recently had someone tell me that she read every post I made. That’s when it struck me – people are reading what I have to say. They want information. Now it hit me on how important it was to make sure the information I shared was accurate. I am very happy that I found your post on this topic of producing effective marketing on Facebook. Great tips! These are direct measurable qualities that determine the effectiveness of an action. Interestingly, words like contest, promotion and coupons are less effective in Facebook marketing. Perhaps the audiences are not in the mood or immune to such method of engagement. It also infer that Facebook is a better platform for making announcements rather than hard promotions. Do you have any data to backup this idea?